Louise Fall sat quietly and patiently in the Powell Elementary (DCPS) atrium, sitting with the other moms, dads, and caregivers around her. She enjoyed and appreciated a light breakfast – but Louise was really there to learn about her grandson’s upcoming school year so she could take the information back to the rest of the adults in his life. Louise attends most meetings on behalf of her family, and this year’s Welcome Back Breakfast was no exception. The Welcome Back Breakfast is a signature activity of the Tellin’ Stories approach that presents a unique and intimate opportunity for school staff to introduce themselves to families, share updates, solicit feedback, and set a positive and collaborative tone for the school year. All Teaching for Change partner schools begin the year with a Welcome Back Breakfast as one of their first contacts with families. 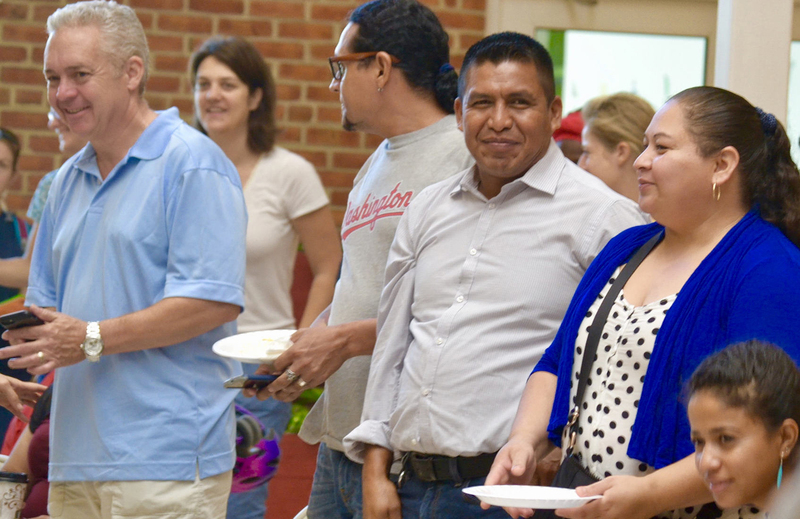 At Powell, Principal O’Kiyyah Lyons-Lucas, the Powell Padres parent organization, and several staff members welcomed in English and in Spanish about 80 parents with warm smiles, a light breakfast spread, and a welcoming presentation. “This school takes its students and parents very seriously. They make sure things go well and they listen to parents,” said Ms. Fall, whose grandson is in first grade. Powell Elementary is in its fourth year as a partner school with the Tellin’ Stories Project of Teaching for Change. 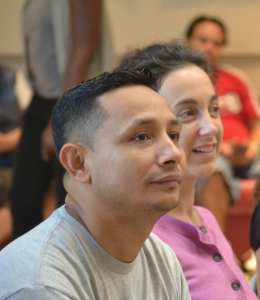 The parents and caregivers represented all grades, from pre-K through fifth. After an ice breaker, they learned about plans and adjustments for the 2017-2018 school year; were introduced to new staff members; were thanked for their effort and collaboration in the previous school year; and were invited to get involved with existing opportunities or present new ideas. 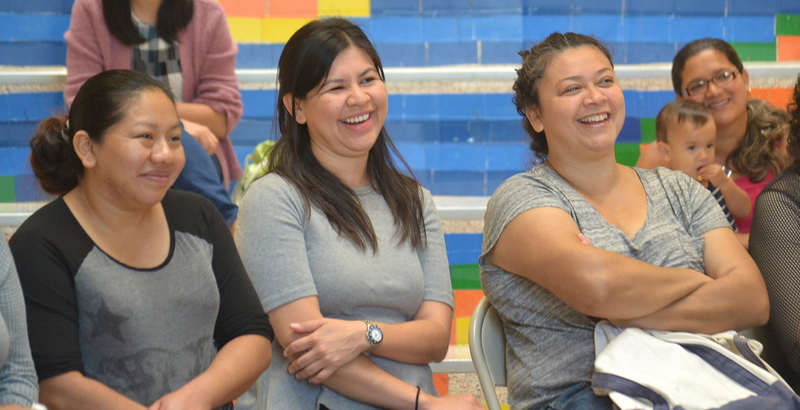 After the event, many parents stayed to catch each other up on their summer news and talk one-on-one with the principal, instructional coaches, special educators, new school nurse, and other support staff who spent the morning with them. The scene was similar a few neighborhoods over at Bruce Monroe Elementary at Parkview (DCPS), a longtime Teaching for Change partner school. There, Principal Alethea Bustillo, the Parents & Teachers United (PTU) organization, and support staff welcomed about 50 parents and caregivers. As toddlers ran and played together on the outskirts of the meeting, Principal Bustillo shared the family story quilt made by parents in previous years through the partnership with Teaching for Change. 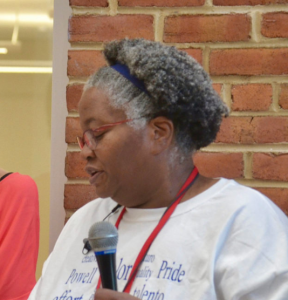 The newly-elected PTU officers enthusiastically introduced themselves and shared last year’s parent leadership victories, including a successful uniform exchange program. Parent leader Sequenly Gray gave an inspiring firsthand account of the school’s strong history as a citywide parent-power force. Parents were asked to voice suggestions, concerns, and ideas for the workshops they wanted to see during the year. Many opted to write their responses on sticky notes on flip chart paper that would be reviewed with teachers, staff, and the PTU. Like all Tellin’ Stories signature activities, Welcome Back Breakfasts can look different from school to school as they are applied to fit a particular community. Similar gatherings unfolded at Teaching for Change’s other partner schools, including Brightwood Education Campus (DCPS), LaSalle-Backus Education Campus (DCPS), and Thomson Elementary (DCPS).